This is a book review that I did not want to write. The reason is simple. Carl Gallups, the author, is a dear and valued friend, but I must honestly report that his latest book is a disaster. I first became aware of Carl in 2012 when his first book was published. It was titled, The Magic Man in the Sky, which is the term Atheists often use to refer to the Christian concept of God. The book presented a brilliant defense of the existence of God and a scathing refutation of the fantasy of Evolution. As soon as I finished reading the book, I immediately contacted Carl and invited him to appear on our television program, which he did. (Watch the interview.) I discovered that he had been a police detective for 20 years before deciding to enter ministry full time. He became the pastor of a Baptist church in Milton, Florida, located in the panhandle of the state, near Destin. He has served that church since 1987. Before writing his first book, Carl had become known nationally through his radio program and his Internet video programs that focus on providing a biblical perspective on national and international events. He had developed a reputation as an articulate, outspoken and fearless prophetic voice due to his insightful commentaries about the decay of American society and our impending destruction by God. His first book established him as a serious apologetics author who understands how to defend God’s Word. The book is “a must read” for any Christian. His second book was equally good, but very different. 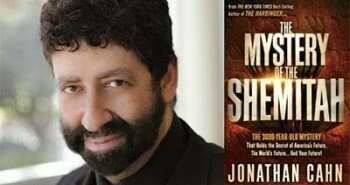 It was titled, The Rabbi Who Found Messiah. It is an investigative journalistic type of book that exposed to the world the remarkable story of one of Israel’s most influential rabbis — Yitzhak Kaduri. Before the rabbi died in January of 2006, he announced to his followers that the Messiah had appeared to him and revealed His identity. He said he had written down the Messiah’s name on a piece of paper and sealed it in an envelope that was to be opened one year after his death. That was done in January of 2007, and the name the envelope contained produced a profound shock among Orthodox Jews. It was Yeshua, the Hebrew name for Jesus! This revelation was dismissed as “dementia” and was quickly covered up by both the Orthodox and the Israeli press. It is true that Carl is an “engaging writer, but it is not true that he presents “a unique perspective.” It is an unusual perspective, and from my viewpoint, it is completely off-the-wall, but it is not unique. That’s because it is an echo of the concepts of a very well known Bible prophecy teacher by the name of Irvin Baxter. Basically, both of these men believe that we are currently living in the midst of the Trumpet Judgments of the book of Revelation! That’s right. They do not see these judgments as something future that will occur during the Tribulation. No, they claim the judgments are happening now. Until the publication of Carl’s book, I was not aware of anyone who agreed with Baxter’s interpretation of Revelation. In fact, Baxter has no links to any other prophecy ministries on his website because no one else agrees with him — until now. When you think about how unusual the interpretation of Revelation is that these men have come up with, you can understand why I consider it remarkable that throughout Carl’s new book, he repeatedly introduces each of his strange interpretations by proclaiming that “many” or “numerous” prophecy scholars agree with him! 10) The third angel sounded, and a great star fell from heaven, burning like a torch, and it fell on a third of the rivers and on the springs of waters. 11) The name of the star is called Wormwood; and a third of the waters became wormwood, and many men died from the waters, because they were made bitter. Carl argues that this prophecy was fulfilled in the explosion of the Russian nuclear reactor in Chernobyl, Ukraine on April 26, 1986 (chapter 15). His basic reason for making the connection between this event and the prophecy is the fact that Chernobyl means wormwood in the Ukrainian language (chapter 16). To make the rest of the prophecy fit the event, Carl engages in some fanciful spiritualizations of Scripture. He explains away the reference to a star falling from heaven as a First Century man’s primitive explanation of a nuclear explosion (chapter 18). To do this, Carl starts redefining words, a technique he uses throughout his book. So, according to Carl, the word, star, doesn’t really mean star — it is just something that looked like a star (pp. 124ff). And heaven doesn’t really mean heaven, it is just a reference to the sky. Also, the idea that a star falls from heaven is just a reference to debris from a nuclear explosion falling back to the ground (p. 126). Further, Carl asserts that the statement that this event will result in one-third of the waters of the world being polluted must be interpreted as meaning simply “a calamity on a monumental scale” (pp. 116ff). That’s a very convenient interpretation, but it is not what the prophecy says. 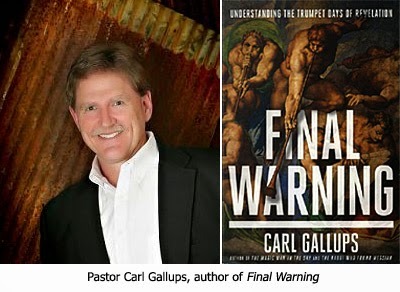 Now, having come to the conclusion that the Chernobyl explosion was a fulfillment of the third Trumpet Judgment, Carl concludes that the first and second Trumpet Judgments must also have already occurred and must have done so before 1986. 9) and a third of the creatures which were in the sea and had life, died; and a third of the ships were destroyed. To give a contemporary interpretation to this prophecy, the first thing Carl does is to explain away the reference to the sea by saying, “Obviously, the sea in these verses is not a literal ocean of water but rather a vast expanse” (p. 129). “Obviously”? Really? Obvious to whom? He then resorts to the redefinition of words, claiming that “thrown” should really be translated “arise” (p. 131). Now, having changed the meaning of the prophecy, he proceeds to proclaim that it was fulfilled in 1945 with the atomic bombs that were dropped on Hiroshima and Nagasaki. Since Japan is an island nation, from a distance, the explosions must have looked like “a mountain of fire” rising from the sea (p. 131). And, oh yes, the reference to one-third of the sea being affected is also explained away in a most peculiar way. It refers to either one-third of the population of Japan being killed in the explosions (including those who died over a five year period of time from radiation poisoning), or it refers to one-third of those involved in World War II being killed (pp. 132-133). But these particular verses do not speak of one-third of any group being killed. They talk about one-third of the sea becoming blood. And Carl never bothers to explain away the reference to the sea turning to blood. The first [trumpet] sounded, and there came hail and fire, mixed with blood, and they were thrown to the earth; and a third of the earth was burned up, and a third of the trees were burned up, and all the green grass was burned up. Carl proposes two possible modern day fulfillments of this prophecy. The first would be the “scorched earth” policy followed by the Russians in the defeat of the Nazi invasion of their nation during World War II (pp. 136ff). The second alternative, and the one Carl prefers, is that this verse is describing World War I (pp. 138ff). Carl explains away the prophecy’s statement that the judgment will affect one-third of the earth by, once again, redefining words. The problem, he says, is that we are “relying solely upon the English translation” (p. 136). He then explains: “In actuality, the Greek word for earth in this passage allows for something much more local in nature.” So, as Carl puts it, the Apostle John, who wrote Revelation, “could easily have been speaking of a specific theater — that is, a specific region” (p. 136). Again, very convenient for Carl, but that is not what the text says. The fourth angel sounded, and a third of the sun and a third of the moon and a third of the stars were struck, so that a third of them would be darkened and the day would not shine for a third of it, and the night in the same way. In his desperation to find a modern day fulfillment for this prophecy, Carl resorts to a 2004 article in the New York Times which reported that due to pollution, there was drop in the amount of sunshine reaching the earth by as much as 10 percent from the late 1950s to the early 1990s — or about 2 percent per decade (p. 141). Carl calls this “global dimming,” and he jumps on the fact that in one place, Hong Kong, the loss of daylight amounted to 37 percent. Well, the prophecy does not speak of one place — it speaks of the impact on the whole world, and it also speaks of an immediate impact, not a gradual one over 40 years. This whole interpretation was just beyond belief to me because the prophecy makes it clear that it is talking about a demonic invasion. And the idea that Saddam Hussein might be the Destroyer spoken about in the prophecy was particularly mystifying because the prophecy clearly states that the Destroyer is a demon who is released from the abyss. That brings us to the sixth Trumpet Judgment, and mercifully, Carl does not try to explain it away by linking it to some modern day event. Rather, he says its fulfillment is yet future (chapter 21). This is the judgment that says armies consisting of 200 million soldiers will be released who will proceed to kill “a third of mankind” (Revelation 9:13-19). In speculating how this prophecy might be fulfilled, Carl states, “I am certainly not going to insist upon a rigorous interpretation of this sixth trumpet prophecy” (p. 169). Really? Why not? He then proceeds to explain away the prophecy’s meaning by stating that it is most likely going to be fulfilled by a limited war in the Middle East in which one-third of the participants will be killed. The Seal Judgments (which precede the Trumpet Judgments) are not really judgments. They are just a general overview of what is going to happen — they are warnings, like those contained in Jesus’ Olivet Discourse in Matthew 24. The actual judgments do not start happening until the Trumpet Judgments which are all contained in the seventh Seal Judgment (pp. 77-79). The Two Witnesses (Revelation 11) who will prophesy in Jerusalem for three and a half years and then be killed by the Antichrist are identified as symbols of Messianic Jews and the Church (even though Messianic Jews are part of the Church). In other words, Carl denies the witnesses will be two men (chapter 13). The Rapture of the Church will take place when the Two Witnesses (all Jewish and Gentile believers) are caught up to Heaven (Revelation 11:11-12). This will happen before the pouring out of God’s wrath in the Bowl Judgments (Revelation 16). 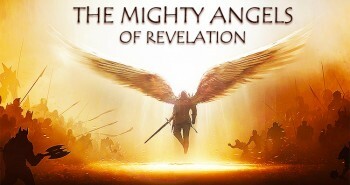 So, the Rapture will most likely take place in the middle of the Tribulation, following the blowing of the seventh trumpet in the series of Trumpet Judgments (chapter 29). The “abomination of desolation” (Daniel 9:27 and Matthew 24:15) which will be erected “in the holy place” is the current Dome of the Rock on the Temple Mount (chapter 27) — despite the fact that the Bible clearly states that this abomination will be erected by the Antichrist. There is a fundamental problem with Carl’s analysis that he never addresses, and it is the death knell to all that he proclaims. It is the fact that the book of Revelation pictures all its series of judgments — Seals, Trumpets and Bowls — as occurring within a 7 year period of time. This time period is precisely defined as 2,520 days (Revelation 11:3 and 12:6), or 7 years when considering that a prophetic year is 360 days. The prophet Daniel says this 7 year period of time will begin when the Antichrist makes a treaty with Israel — most likely one that will allow the Jews to rebuild their temple (Daniel 9:27). These 7 years are the final week of years of Daniel’s prophecy of the 70 weeks of years (Daniel 9:24). This period of 490 years is the time during which God will accomplish all His purposes among the Jewish people (Daniel 9:24). The first 483 years of this prophecy ended with the Crucifixion, at which time the Church was established and the Jews were set aside under discipline. We are now in the Church Age which represents a gap in Daniel’s prophecy. 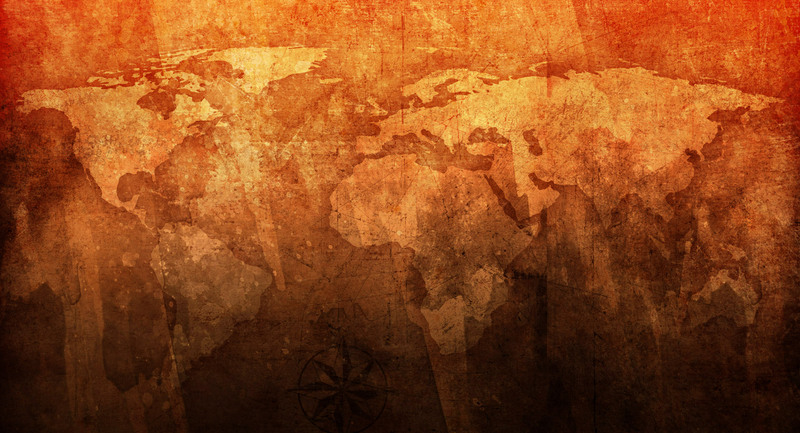 When the Church is taken out in the Rapture, God will once again focus on Israel as the centerpiece of His purposes. He will use the last 7 years of Daniel’s prophecy to bring the Jews to the end of themselves through the Tribulation judgments, at the end of which, the Jewish remnant will repent and receive Yeshua (Jesus) as their Messiah (Zechariah 12:10). The Tribulation judgments — all of them — are pictured in the book of Revelation as occurring within Daniel’s 70th Week — a 7-year period of time. They do not begin before that time. The judgments portrayed by the book of Revelation are all future. They will take place during the 7 years of the Tribulation. And they will happen as they are described. No one will have to redefine them or spiritualize them or explain them away. They mean what they say! In conclusion, Carl’s latest book is an exercise in imagination that is going to confuse many people. Even worse, it is going to convince many that Bible prophecy does not mean what it says. Previous PostNext Year in Jerusalem! "The Tribulation judgments — all of them — are pictured in the book of Revelation as occurring within Daniel's 70th Week — a 7-year period of time. They do not begin before that time. "The judgments portrayed by the book of Revelation are all future. They will take place during the 7 years of the Tribulation." I haven't seen that anywhere in the Bible. Would you please back that up with scripture references? Also, my understanding is that the tribulation is only the last 3.5 years of Daniel's final 7 years. I thought that was pretty clear. Are you saying that's incorrect? God tells us that as we approach the time of the end of this age, apostacy within His "Church" will escalate. I believe this is occuring as a result of a "spiritual blindness" and increased assault by the prince of this world, Satan. The proposals reflected by the subject of your review are so far removed from scriptural references the conconclusion refute logic. My comment/question to those with such interpretations of yet fulfilled prophecy is: All prophecies relating to Christ's 1st. coming were fulfilled literally and specifically. Show me the scripture that tells us we are to interpret end-time prohecies symbolically! Amen to David!! Excellent review and insightful as usual!!! A side note: I am soooooo disappointed in Carl! I hope he isn't losing his way. My feeling is he wrote this book, purely to make money. I am glad that Dr. Reagan separated himself in the form of an honest critique. A while back I noticed Galups was connected in ways with Joseph Farah from World Net daily. Farah is a re-constructionist and belongs to The Council for National Policy . They believe that they can make this world perfected and then Christ can return . Yes there are many good points to both of them but they have an agenda . They are for a national defense. Follow the money Nelson Bunker Hunt and his brother provided the money to start The CNP, Lots of connections, use search engines and look up all of the connections . It reads like they are aiming for a ONe World Church to me. The Information is out there just look! thank you again Dr Reagan. It is sad that a good man like Carl has been deceived by Satan. I pray that he will see the errors of what he has written. This once again shows us why it is so important to read and study the Bible so that no one can lead us astray. Thank you Davis for listening to the Holy Spirit. Why do you believe that the Rapture will occur before the final seven year period? An upcoming time period has been set aside for God to pour out His wrath upon the evil of the world, to regather Israel back into its land, to force Israel to acknowledge Jesus as their Messiah, and for the Messiah to return and fight for His believing remnant (Deut. 4:26-31; Isa. 13:6-13; 17:4-11; Jer. 30:4-11; Ezek. 20:33-38; Dan. 9:27; 12:1; Zech. 14:1-4; Matt. 24:9-31). The length of the Tribulation is seven years long, described in a variety of ways as "one seven" year block (Dan. 9:27), half called "times, time and half a time" (Rev. 12:14), consisting of two "1260 days" periods (Rev. 11:3), or two "42 month" periods (Rev. 11:2; 13:5). This time period begins with a peace covenant between Israel and the Antichrist (Dan. 9:27). The mid-point of the Tribulation occurs when the Antichrist desolates the rebuilt Jewish Temple (Dan. 9:27; Matt. 24:15; Mk. 13:14; 2 Thes. 2:3-4). For information on why I believe the Pre-Tribulation Rapture is the best argument for the timing of the Rapture, please check out this article and this article and our television program Christ in Prophecy. Thanks for the links to your articles. However, I believe that Mr. Baxter's explanation is closer to the truth. Jesus said that the Angels will be dispatched to assemble his chosen at the sound of a trumpet, in Matthew 24: 31. The 7th trumpet is the only one that fits. I think a lesson for ALL of us here is to be careful who or what we endorse until we check them/it out on a deeper level. Have greater discernment. I had found this belief out from a brief email exchange several years ago from his Youtube channel so put Carl in my false teacher pile and moved on (a little leaven… Galatians 5:9). Having come from deception of the Word Faith teachings I am now very cautious. When even a good teacher can be deceived I know I sure can. Carl Gallups isn't a false prophet. I challenge anyone to read The Magic Man in the Sky and conclude that he's off base when it comes to primary doctrines essential to salvation. Carl may be off on his eschatological interpretation, but that's secondary doctrine and not necessary for one's salvation. There's an important difference there. Mr. Gallups is not the only one that speaks of the 7 trumpets in the same way. Rev. Irwin Baxter says the same thing (esp. about Chernobyl). And, Perry Stone also claims that the Antichrist will be a Muslim. That doesn't make him (Gallups) right. It's just not new information. I hate to break the news to you but Carl's second book an Rabbi Kadura was a hoax as well–laced with statement steeped in Kaballah and presented as "fact." WAY too much Jewish mysticism to be taken seriously. Will God us it to open the eyes of some Jewish folks who revered their rabbi? Probably, just like He's used Cahn's Harbinger to awaken some. If He can use a donkey to rebuke Balaam, he can use any of us for His purposes. By why are we feeding the unfettered appetites of sensation-craved evangelicals with this stuff. Faith comes by hearing and hearing by the Word…as you know Dr. Reagan. I just don't see the need for more earthly proofs that patronize in part, but have little to no eternal value. I'm sticking with the Scriptures in reverence for Jesus' words in Lk.16:31 to the rich man in Hell. "They have Moses and the Scriptures; if they will not hear them, neither will they be persuaded thought one rise from the dead. Pastor Gregory Allen State College, PA.
and the difference between this -quote – Even worse, it is going to convince many that Bible prophecy does not mean what it says-. and the theory of evolution is exactly . WHAT. Two thumbs up for Dr. Reagan is telling it like it is. He places truth above all else in this article. Unfortunately, two thumbs down to Nathan (I hated typing that) for saying "Carl Gallups isn't a false prophet." Really? Based on the article I would conclude is actually is a false prophet. Or if you don't want to go that far…at least he has lost his way on the subject matter in his book. Nathan said "Carl may be off on his eschatological interpretation, but that's secondary doctrine and not necessary for one's salvation." What does that have to do with it? Who said he lost his salvation? Saying he is a false prophet (in context to the current book) doesn't sound too far off base. Some of the examples Dr. Reagan gave of his interpretations are really way, way out there! Mr. Gallups will be in Heaven with the rest of us (I say he probabaly deserves it more than I but actually NO ONE deserves it). I'll just say I'm sure he is a very good Christian and this book doesn't affect his salvation, I agree with that. But the rest of it (the exmaples in the article)…c'mon…how can you NOT say something like this is in false prophet territory. Nathan…I'm sorry to disagree but we've argued, er uh, disagreed before. No love lost my brother in Christ! Dr. Reagan, I so appreciate your critique of this book. Having read and studied Revelation with many trusted Pastors, I am glad to know we still have to be so careful with what some well known, or knowledgeable person says. I can't help but wonder if this man is a Preterist?! I started studying prophecy in 1996. I used to listen to Irvin Baxter back then and bought several of his study guides around 2005. I disagree with him vehemently now. I also bought books by Joel Richardson,, Walid Shoebat, Perry Stone and Dr. Joe VanKoevering. I disagree with them all about a Muslim Antichrist. There are many false teachers today. I like Prophecy In The News, Dr. Reagan, Prophecy Watchers, Tom Horn etc. Prayer for truth, discernment and knowledge help a lot. It seems that it would be hard for a Christian to not know the truth who constantly asks and seeks truth from the Lord. Billy, I think we both have different definitions for a false prophet. The Holman Bible Dictionary (p473) defines a false prophet as "one who prophesied on behalf of another God." The role was also specific to Bible times, as in this Church Age the gift of prophecy are people who have a passion to share the Good News of Jesus Christ's salvation with others in the time we have left. They also can discern what the Bible is talking about concerning the end times. They cannot predict what the future is, as God has already given us a full account of what will occur in the Bible. Carl's saved, so he's not prophesying on behalf of a false God. And, he cannot be a prophet, for that role like Apostle doesn't exist today. What Bro. Carl is is someone like us who sees a 1,000 piece puzzle with only 750 pieces together and is interpreting what the remaining quarter of the puzzle should look like. Thank you-Thank you David Reagan for your excellent book review on 'Final Warning'. I too have a great respect for Pastor Carl, but agree he blew it with this book and pray it doesn't hurt his credibility. 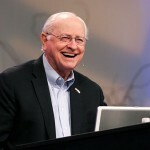 Hope at the coming conference he is not allowed to promote this strange and very unbiblical/unhistorical view point! God Bless you and Nathan and keep up the great work! As a part-time pastor, teacher, apologist and follower of the Lord Jesus, I have found that Dr. Reagan is always on the mark! I met Dr. Reagan while in seminary in Findlay, Ohio in 2000. Since then I have studied Revelation in depth (in the original Greek) and find that Dr. Reagan insights and interpretations are always in line with Scripture. I will continue to study and I support Dr. Reagan and Lamb & Lion Ministries. Thank You Dr. Reagan and your team for focused, authentic and correct teachings. Thank you once again for truth! This is why we love (and trust and support) your ministry! I appreciate you offering a critical review of Mr. Gallup’s book even though you consider him a friend. You made some excellent points in your book review and I will read Mr. Gallup’s book with some of your criticisms in mind. Regarding your explanation of 2 Peter 1:20 I believe your interpretation as it applies to Mr. Gallup to be incorrect. Now I know you have a profound respect for context. In fact you may not remember this but about ten years ago or so we exchanged emails on the subject of Daniel 9 and to this day I remember your final email to me. In big bold letters you wrote to me the word CONTEXT! Your email made such an impression on me years later I wrote a book where the premise of that conversation figures prominently. 2 Peter 1:16 – 2:1 16 For we have not followed cunningly devised fables, when we made known unto you the power and coming of our Lord Jesus Christ, but were eyewitnesses of his majesty. 17 For he received from God the Father honour and glory, when there came such a voice to him from the excellent glory, This is my beloved Son, in whom I am well pleased. 18 And this voice which came from heaven we heard, when we were with him in the holy mount. 19 We have also a more sure word of prophecy; whereunto ye do well that ye take heed, as unto a light that shineth in a dark place, until the day dawn, and the day star arise in your hearts: 20 Knowing this first, that no prophecy of the scripture is of any private interpretation. 21 For the prophecy came not in old time by the will of man: but holy men of God spake as they were moved by the Holy Ghost — 2 Peter 2:1 But there were false prophets also among the people, even as there shall be false teachers among you, who privily shall bring in damnable heresies, even denying the Lord that bought them, and bring upon themselves swift destruction. The focus seems to be prophets and teachers moved by the Holy Spirit verses those who are not. If we are to take your view of prophetic interpretation as a general rule then the Apostle Paul’s explanation of the 2nd coming in 1 Cor. 15:51-52 was a private interpretation because at the time Paul explained it as a “mystery”. Another modern example of such a “private interpretation” is Sir Robert Andersons explanation of Daniel 9. Today his premise is the most widely accepted view of the prophecy but when he expounded in his book The Coming Prince it was a bold new way to look at the prophecy. At the time he was indeed a Lone Ranger. A final example of why I don’t think this passage is speaking of just a prophetic interpretation is found in Daniel 12:4 where the angles tells Daniel that the prophecy he was given was to be “sealed up” until the time of the end. Assuming Daniel 12 has been unsealed or even if it is still “sealed up” the first person to explain it will be a “Lone Ranger”. In my opinion, and I believe the Bible bears this out, all interpretations of prophecy must be tested within the context of the Biblical record. Double so for those who have received some cunningly devised fable disguise as a personal prophetic revelation. Thank you Dr. Dave for such a fine "rebuttal"! Just earlier this week I had stopped by Carl's ppsimmons website and he had made comments as to why he thought the Pre-trib rapture was incorrect. I was a bit perplexed by what I perceived as his clear misinterpretation of the texts he had presented. He had also stated that no one has been able to refute his interpretation to date. I immediately thought of you, Nathan, Noah Hutchings, Erwin Lutzer (my Pastor), J. Vernon McGee, etc. I would add that I run into quite a few post-trib folks on the web. Some who have called me a Heretick (Notice spelling) for me holding to the Pre-Trib Rapture. Maranatha!! I agree with your clarification. Your definition does not match what I was referring to as a "false prophet". Based on your definition my use of the term was not accurate. I will amend it to say he is giving false interpreation of Bible prophecy to such an extreme that he can be considered a "false prophecy teacher", perhaps not overall, but specifically to his book in question. You must admit it is not good to give out false teachings on prophecy because "newbies" to the subject could be influenced in a very negative way and their understands of fact damaged. This is not a good thing. p.s. I'll point both my thumbs back up at ya! Thank you so much for telling the truth and speacking from your heart Dr.Reagan. Please re-read the words of Jesus in Matthew 24: 29-31. Tell me that this does not describe the gathering of the elect after the tribulation. Matthew 24:30-31 is explaining the day of Jesus return – His Second Coming at the end of the upcoming 7-year Tribulation – and the gathering of the Tribulation Saints. The judgment of those who survive the Tribulation and the cleansing of the Earth from the Tribulation judgments can be found in the Parable of the Weeds found in Matthew 13:36-43, 49-50 and again in Matthew 25 concerning the Sheep/Goat Judgment that will occur during the 75 day interlude between the Second Coming at the very end of the Tribulation and the beginning of the Millennial Kingdom (Dan. 12:11-12). The survivors of the Tribulation are gathered by the angels and judged before Christ, with those who have accepted Jesus (the sheep) living on into the Millennial Kingdom and those who have rejected Christ (the goats) are sent to punishment in Hades awaiting the Great White Throne Judgment at the end of the Millennium and the Lake of Fire/Hell. This is a separate gathering from the Rapture which occurred 7+ years earlier. For further information on resurrections and judgments, check out this article. It would be great if true believers are removed before the tribulations, but why should this take place. The apostles were killed for their faith at the start of the Church, Christians are being persecuted throughout the world today, Revelation warns us about the mark of the beast, the dragon makes war against believers in Revelation 12: 17, etc. Again, I am looking for scripture passages that support a pre-trib rapture, but I am left wanting. The guru of the Left Behind theory, Tim Lahaye, was present at the "coronation" of Rev. Moon, who then claimed to be the Messiah. Tell me why we should believe his fable. Always go with the teachings of the Bible, not man. And the Bible teaches a Pre-Trib Rapture. While being a Christian does mean having to endure suffering and trials at the hand of man (Jn. 16:33; Phil. 1:27; 1 Thes. 3:3; 1 Pet. 4:12-13), the Tribulation like the Flood is about God's wrath (Isa. 24:22; Zeph. 3:8; 1 Thes. 5:3; 2 Thes. 2:12), and believers in Christ are promised to be exempt from God’s wrath (1 Thes. 1:10; 5:9; Rom. 5:9; Eph. 5:6; Col. 3:4; Rev. 3:10). There’s an important difference there. Thanks for your response. I will continue to read and study the Word. I still believe that Irvin Baxter has a sound interpretation of the end of the age. 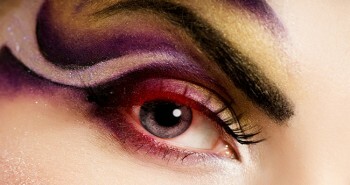 We will have to wait and see if your interpretation is closer to the events that are about to unfold. JESUS said it! The Pretrib Rapture Is Incorrect! Carl Gallups Explains. I have not read Dr. Reagan's book which is referred to in the statement below, 'Wrath and Glory', but this is very confusing, can you please clarify if you used to be a pre-wrather or there is an error in your book please? And yet – in spite of the evidence of history – Reagan still preaches a pretrib rapture view of the Bible! OK, Here is another comment from the same TY video (my last comment), now I am boiling mad. PPSimmons (YouTube) is a representative of Carl Gallup’s, not some lone ranger on his own, much like Nathan is to Lamb and Lion Ministries, PPSimmons (Mike Shoesmith), is to Carl Gallup’s. The appearance is; Carl Gallup's is endorsing what is being said. Again, this comment written by PPSimmons is in the comment section of the video titled: JESUS said it! The Pretrib Rapture Is Incorrect! Carl Gallups Explains. I have often posed this question to teachers and pastors who hold to the Pre-Tribulation Rapture position. Do you know of any verse or passage that states that the Lord will return before; Daniel’s 70th seven, the revealing of the Antichrist or the Great Tribulation? To date, no one has been able to produce such a verse. Yet many continue to hold to the Pre-Tribulation Rapture teaching in spite of the fact that they have no Word of God to support it. Some time ago, I attended a Prophecy Conference at the Hebron Christian Church near Athens, GA. The church hosted Dr. David Reagan from the Lion and Lamb Ministries of Dallas, Texas. Dr. Reagan made a shocking admission during one of his presentations. He said, “There is not one verse in the Bible which states that the Rapture will take place before the Tribulation.” Dr. Reagan, however, continuously proclaims a Pre-Tribulation Rapture even though he admits there is no verse which states this position. Dr. Reagan is effectively indicating that he meets a characteristic of a False Prophet, (He has seen nothing in the Word). I'm a Lone Ranger? What's the logo on this blog? Dr. Reagan, and any doctrinally sound Bible prophecy teacher for that matter, will indeed say the Bible doesn't explicitly state the timing of the Rapture. That's why there are 4 or so views on its timing. We CAN KNOW that the Rapture is Pre-Tribulational because of the many verses that say the Church isn't destined to endure God's judgment on the world (1 Thes. 1:10; 5:9; Rom. 5:9; Eph. 5:6; Col. 3:4; Rev. 3:10). The Bible also gives us a lot of clues that the Rapture will occur before the Tribulation (Isa. 26:19-21; Mal. 3:17; Lk. 21:36; Jn. 14:1-14; I Cor. 15:51-58). Read my article Why I Believe in a Pre-Tribulation Rapture for further supporting arguments for a Pre-Trib Rapture. Quite frankly, many young Christians will be affected by the differences in these rapture interpretations. 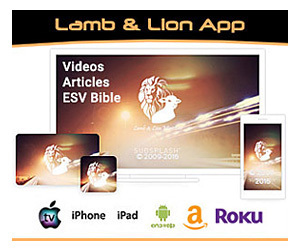 Surprised to see Pastor Carl Gallups, a regular guest at Dr Reagen's TV program, would resort to singling out Lamb & Lion ministry by quoting and attacking its pre-trib teaching.Surely they should come together to discuss their differences first before throwing mud at each other. I am beginning to question the biblical knowledge and background of Ps. Carl. Is he a self-taught bible teacher? He seems sincere in his other teachings, but one can still be sincerely wrong and lead many astray. There were a few instances where he seemed excited and got carried away somewhat. Please help to correct him, a dear brother, in love. It's no good to let the body of Christ go on a yo-yo up and down rides. If being mistaken or presumptive about an interpretation of biblical eschatology makes anyone a false prophet then why is anyone including the people responsible for this site claiming they know what is coming to past in the future? It is of no private interpretation, correct? That means that God provides the correct interpretation when the prophecy is fulfilled. 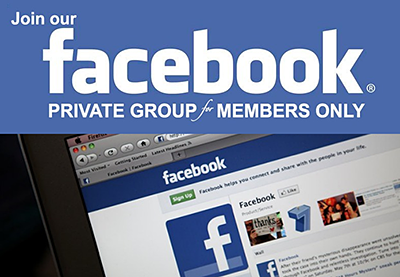 Anything else is a private interpretation no matter how many people share the same opinion. God is the only one certain to supply the correct meaning of prophecy. Any man claiming to know the truth about something which is not made absolutely clear in the scripture cannot be presumed to be correct until the event has transpired and proven the claim. Thanks for the enlightenment, Anonymous chap of Feb 19. Lesson learnt – don't be too quick to judge the "interpretations" of others as our knowledge is incomplete until the perfect One comes to show us what He really meant. Just present the arguments for and against a teaching will do, without being too dogmatic or even cultic about it. Just be on the lookout so that we will not be tossed to and fro by the winds of doctrine or prophecy interpretations and, more importantly, look up for our Blessed Hope, for our redemption is near (borrowed from L&L ministry). Wow, anonymous from Feb 25, (rhetorical) are you a quick study or an experienced warrior? Thank you for adding more clarity to my notion. because of their own agendas than those like him who would dare to stand up against that crowd.